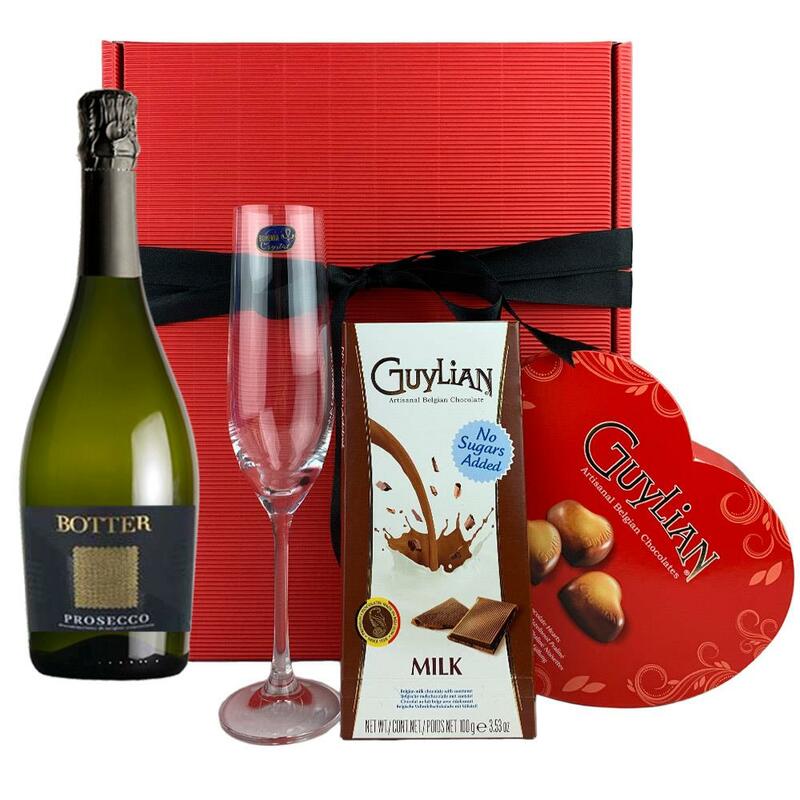 Buy this lovely Heart gift box and get and get a bottle of Botter Prosecco 75cl all packed together with a beautiful Crystalite Bohemia Flute with a lovely heart box of Guylian artisanal Belgian chocolate hearts. Presented in a lovely red gift box. Botter Prosecco Pale yellow and gold in colour this Prosecco offers a bouquet of pear drops lemon and melon. Light and fresh on the palate with a clean finish presented, A great gift option.